Public TV stations celebrate Sesame Street’s 50th anniversary, think tank event explores school integration, and more events in a busy week in D.C.
INBOX: GUN CONTROL — A year after the shooting at Marjory Stoneman Douglas High School in Florida kicked off a wave of student activism on gun control, the House will vote on two gun control bills. One bill would expand background checks to cover gun shows and online sales. Student advocates with March for Our Lives support the bill and were at the Capitol in January when the bill was introduced and earlier this month during consideration in the Judiciary Committee. Angry that Congress isn’t taking Gun Violence Seriously? The other would expand the time period in which background checks can be completed. Prospects for passage of either bill in the Republican-controlled Senate or approval by President Donald Trump are slim. 2020 WATCH: Vermont Sen. Bernie Sanders became the latest candidate to throw his hat in the ring for the Democratic nomination for president last week. A longtime member of the Senate Health, Education, Labor and Pensions Committee, Sanders has called for universal pre-K and free four-year college for nearly everyone. MONDAY: SESAME STREET — America’s Public Television Stations hold a three-day summit including an event to celebrate the 50th anniversary of Sesame Street and visits to lawmakers. TUESDAY: HIGHER ED ACCESS — The National College Access Network brings its members to Capitol Hill for a daylong event, including a panel discussion to examine steps Congress can take to make higher education more affordable. Four student panelists will discuss obstacles they faced when applying for financial aid and at other points in the college application process. TUESDAY: VOTING & COLLEGES — The House Administration Committee considers HR 1, a broad voting, campaign finance, and ethics bill. Under the bill, all U.S. citizens would be automatically registered to vote, unless they explicitly decline to do so, during interactions with government agencies. All colleges and universities that receive federal funding would become voter registration agencies for students who vote in that state. WEDNESDAY: SECLUSION & RESTRAINT — A House Education and Labor subcommittee holds a hearing called “Classrooms in Crisis: Examining the Use of Inappropriate Seclusion and Restraint Practices.” Democrats in November introduced legislation to curtail the practices, which disproportionately affect students with disabilities and black students. The Department of Education last month launched an initiative to combat “inappropriate” uses of the practice. WEDNESDAY: FAMILY SEPARATION — A House Appropriations subcommittee looks into the Trump Administration’s family separation and unaccompanied minor policies. The subcommittee covers the Department of Health and Human Services, whose reportedly substandard care of children separated from their parents at the southern border triggered a still-pending inspector general report on conditions. A separate report released in January found that many more children were separated from their parents than earlier believed. WEDNESDAY: BORDER WALL & MILITARY SCHOOLS — Part of President Trump’s declaration of a national emergency on immigration includes moving $3.6 billion in military construction funds to pay for a wall on the southern border. Now, a House Appropriations subcommittee is looking into that declaration and its “effect on military construction and readiness.” Which specific military construction projects will be cut hasn’t yet been decided, but construction at several Defense Department-run schools could be scuttled, several news outlets have reported. THURSDAY: INTEGRATION — Fifteen education advocates and policymakers gather to discuss school integration designs and “where we stand today with regard to realizing educational equity,” according to the Learning Policy Institute, the think tank organizing the event. House Education and Labor Committee Chairman Bobby Scott and former U.S. education secretary John King are among the panelists. THURSDAY: HIGHER ED REAUTHORIZATION — Sen. Patty Murray, the ranking Democrat on the Health, Education, Labor and Pensions Committee, gives a speech about her vision for reauthorizing the Higher Education Act. The speech, at the Center for American Progress, will be followed by a panel discussion. Murray’s remarks come three and a half weeks after her Republican counterpart, Chairman Lamar Alexander, gave a speech describing his priorities at the American Enterprise Institute. 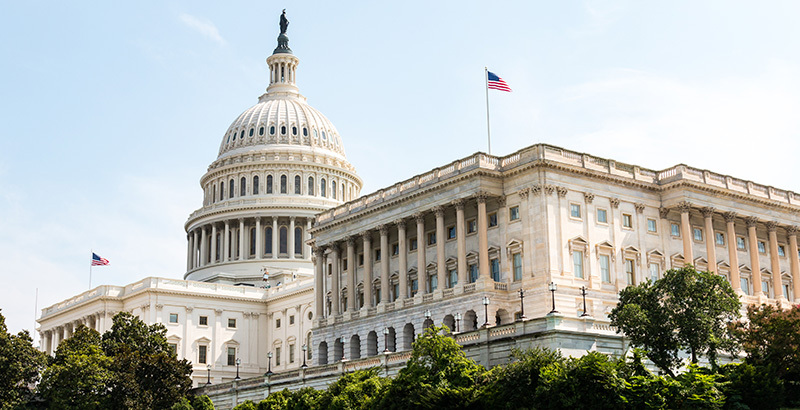 House Education and Labor Committee leaders last week announced a series of five bipartisan hearings as they too begin work on a reauthorization.